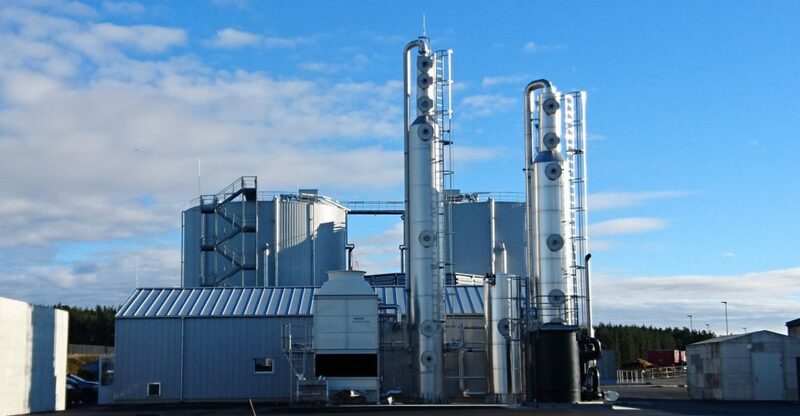 The upgrading plant in Hashøj was the first in Denmark to produce upgraded biogas. 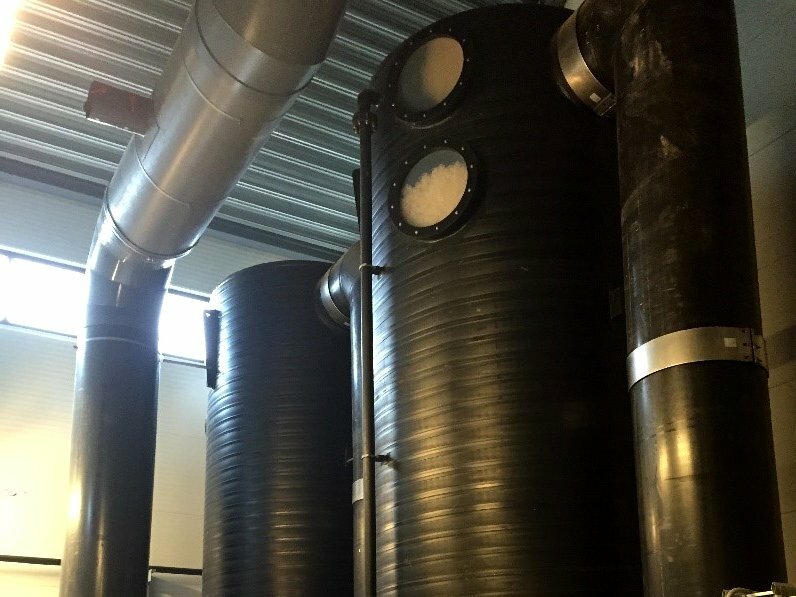 The financially supported demonstration plant was built in close cooperation between the biogas plant and Ammongas A/S, and delivered the first upgraded biogas in Denmark, to the local heating plant. For the client company, the plant was partly considered a pilot project for their own desire to upgrade all their gas to the local gas grid at a later stage, and partly to overcome the logistical problem of getting all the produced gas pushed through a thin 3km long pipeline to a combined heat and powerplant. (the upgraded gas was not then send to the gas grid at this stage). 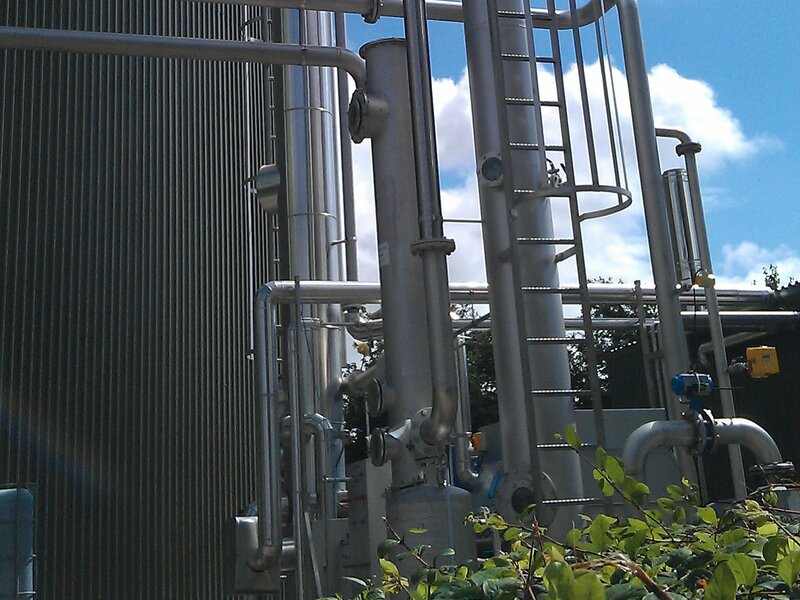 The purpose for Ammongas was to test if the patented stripper-absorption process to separate petrol vapours into pure petrol and clean air, owned by the company, could also be used to separate biogas into clean methane and pure CO2. The plant worked, as expected from day one. Ammongas has since used the plant for tests to optimize various absorptions and regulating methods. Here the special ability to handle raw biogas without the normal pre-cleaning of the gas, even with several thousand ppm H2S, was developed. A full scale Ammongas upgrading plant, built at a farm in Skive, was one of the first plants in Denmark to deliver to the gas grid. 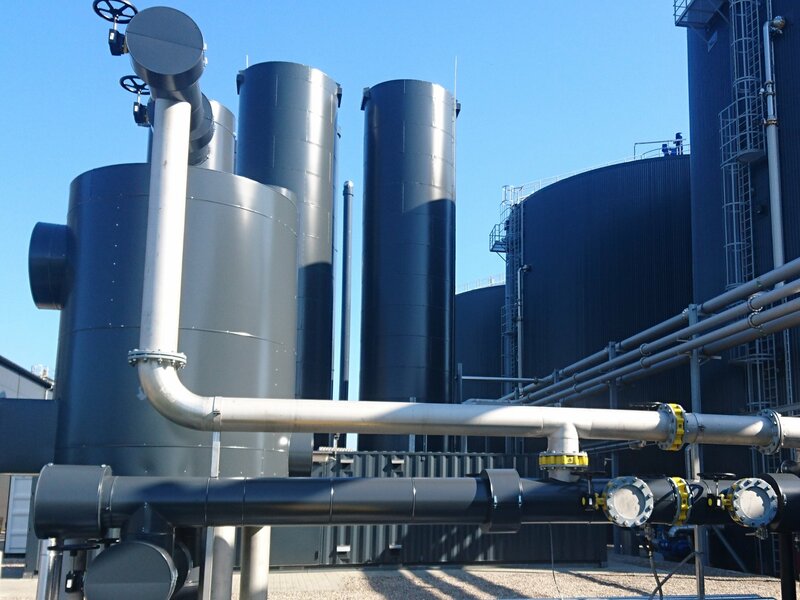 In 2014, after several years of investigation and planning the biogas plant from Madsen Bioenergi I/S with a biogas upgrading plant from Ammongas was finally done. The vision from the Madsen brothers was, and is, to bring green energy to their local community in close cooperation with the local municipality. The plant is a large farm plant that gets their plant substance and manure (cattle and pigs) from their own and nearby farms. This plant excels in several ways. As a heating source they are using a straw-fired boiler with a gas furnace as a backup. The straw-fired boiler runs fully automatic, you just need to, once or twice a day to put bale of straws onto a conveyer belt. The utilisation of the surplus heat from the upgrading plant works as a textbook example since the surplus heat is used for heating of the inbound manure. The 85 degree C water is led through pipes in the biogas reactors for final warming up and adjusting of the temperature in the reactors. This gives a total re-use of 80% of the surplus heat and covers all the heat needed for the reactors. Since this plant, as well as all other plants from Ammongas, is working without pressure it has a minimal need for power. The plant has been running since 2014 with a constant production on more than 20% above the guarantied and with an up-time of 99,9% (2016). This is, amongst other reasons, due to the fact, that the brothers are very attentive to their plant and very structured in their operations, have installed a redundant compressor and have an appropriate amount of spare parts as well as a service agreement with Ammongas. Upgrading plant delivered to a local garbage facility outside of Vaasa, Finland where they are using the gas for local busses. The biogas plant produces biogas based on sludge and biowaste. In 2014 the plant owner and the city of Vaasa agreed that the busses in Vaasa should run on biogas produced on their plant. The plant is dimensioned to 300 m3/h biogas and can produce up to 200 m3/h biomethane. The gas is distributed between 12 busses and replaces approximately 280.000 liters of diesel a year. Because biogas upgrading plants from Ammongas operates without pressure they do not use unnecessary energy to compress the gas. 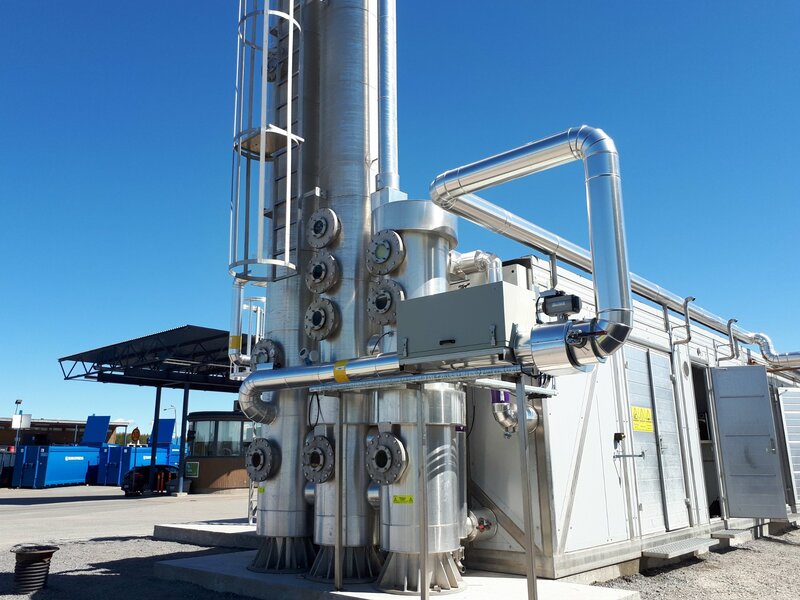 In addition, the plant has been delivered with a tailored heat re-use which means that a large part of the heat consumption can be delivered back to the client and used as process heat in the biogas plant. Totally seen this means that the plant has a low net energy use compared to a traditional upgrading plant and has, because of this, lower operational costs. The plant is located at the coast in the Gulf of Bothnia and is therefore specially exposed for the weather. To prolong service life of the facility, the equipment has been adapted and optimised for the harsh environment. This has been done by delivering it prepared for temperatures down to -40 degrees Celsius and with further enhancements in order to withstand the high winds. The low temperature offered some challenges in connection to the assembly since these temperatures only allowed for limited time outside at a time. The challenge was solved with a careful time schedule with clearly defined tasks that could be solved within the “allowed” out-time and which considered the changing weather conditions in the Finnish winter. There are very strict requirements for the security on a nuclear powerplant, there has to be a zero-fail margin on the extra security systems in case of malfunctions on the main systems. Therefore, there was an increased focus when Ammongas was asked to deliver an absorption plant for ammonia in case of breaches on the central ammonia cooling system. The task was complicated further by the fact that the plant had to be built in a very small space and put into an already existing building. Ammongas designed the plant in smaller parts so it could fit through the doors and hallways of the existing building on its way to the narrow building site, without making compromises on the quality. The plant is made from polypropylene in order to avoid corrosion as well as to have a long service life and low weight. The plant was designed and produced in Denmark in 2013 and shipped to Finland where it was built into the existing plant in 2014. The waste water facility wants to use the food waste from the region and the biomass from farmers in the area in addition to sludge. To ensure future production, it was decided to buy a relatively large plant. The plant will also help towards reaching the Norwegian climate goal of becoming CO2 neutral by 2050. 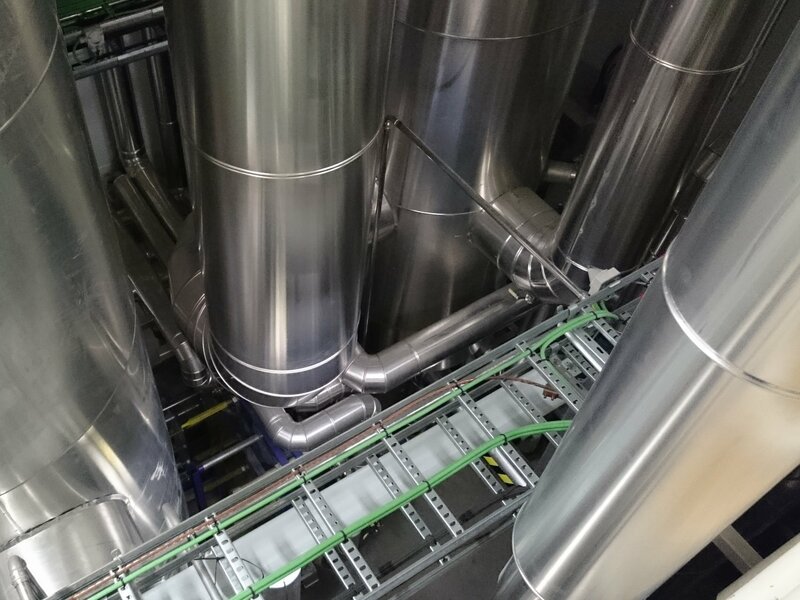 The plant is dimensioned for 1500Nm3/h biogas and can deliver up to 1000 Nm3/h biomethane to the local gas grid. In Norway upgraded biogas is usually used for transport via CNG where you must press the gas up to 200bar since they don’t have a national gas grid, as they do in e.g. Denmark. This region is one of the few areas in Norway where there is a local 4bar gas grid and this plant is therefore a bit atypical to other Norwegian plants. Because the plant from Ammongas works without pressure in the upgrading process there isn’t used any unnecessary energy to compress the gas. 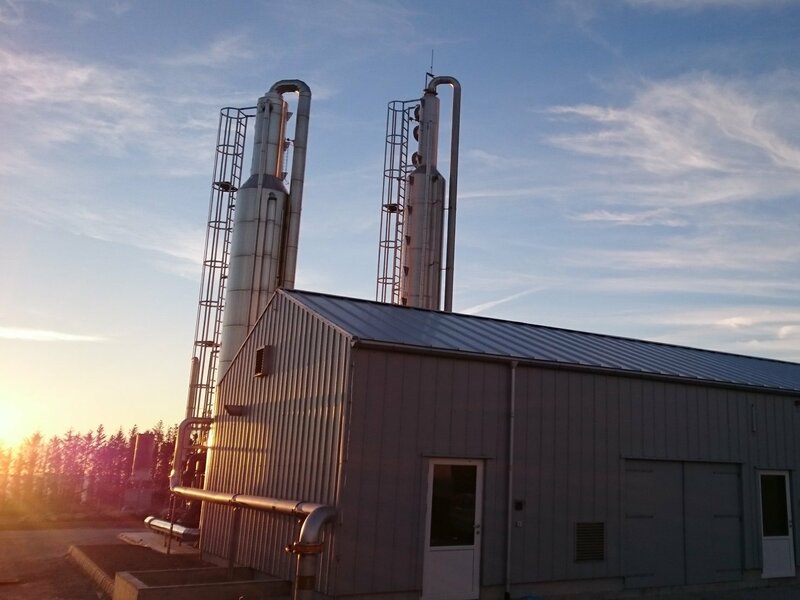 In addition, the plant is delivered with tailored heat recycling, which means that a large part of the heat usage can be delivered back to the customer and be used as process heat in the biogas plant. All in all, it means that that the plant has a very low energy-use compared to a traditional upgrading plant. The plant is located close to the water in the North Sea and is therefore especially exposed to the weather. To prolong service life, the equipment has been adapted to the harsh environment by delivering it in the same corrosion class that is normally only used on ships and even further reinforced in order to withstand the heavy winds. All in all, the plant in Stavanger is tailored to the need for a waste water facility as well as for the external factors, so that an optimal opportunity for sublime operation is ensured together with a long service life for the plant. 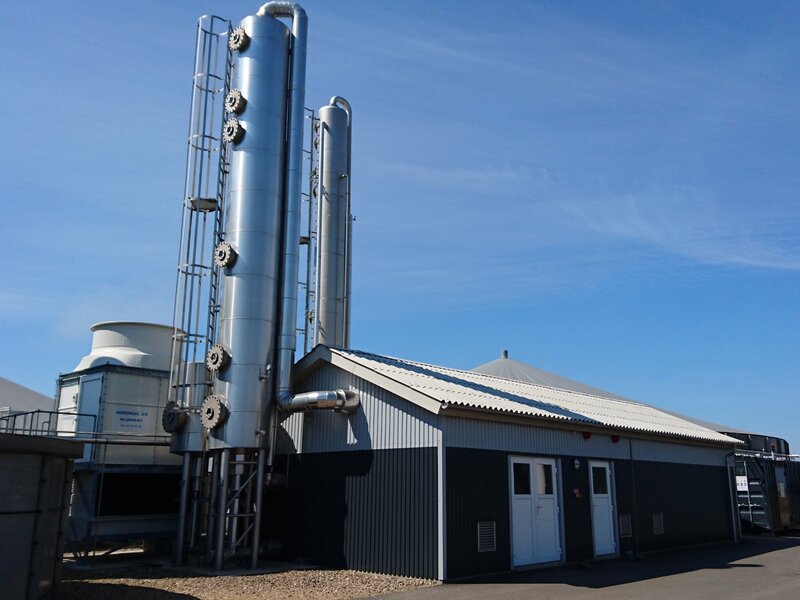 To avoid obnoxious smells for the neighbours a water treatment and waste management facility in Fredrikstad got Ammongas to install a scrubber plant for odour removal. 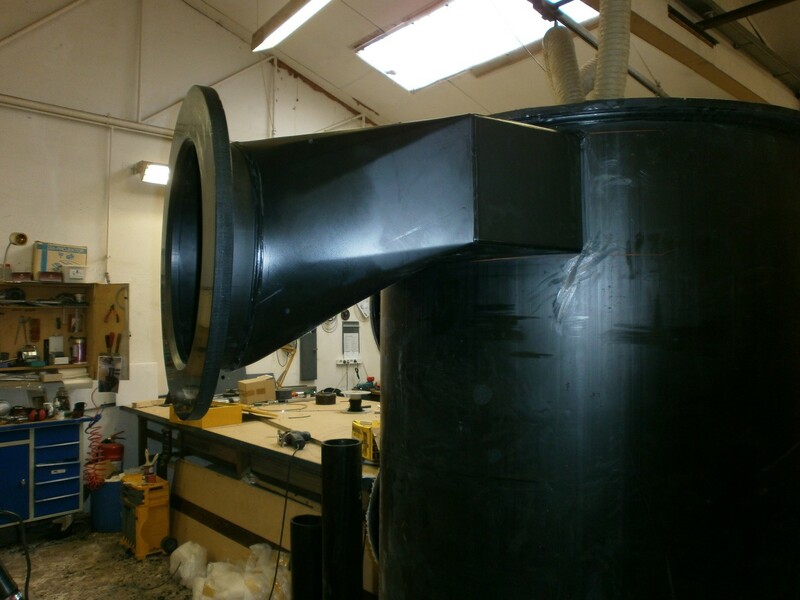 The scrubber is placed inside as a series of 3 scrubbers where the air from the ventilation in the plant runs through before it is released outside. By doing this the potential obnoxious smells from waste management and water treatment will be removed in the Ammongas scrubber plant. In-door stripper-absorber plant in Frederikssund. Two stripper columns remove the ammonia from the process water, whereupon this ammonia, now in gas form, will be absorbed in the subsequent absorber column. The plant manages to desorb and absorb 1 ton of ammonia an hour from the process water. The process in Frederikssund is part of a new catalysator factory and basically has 2 purposes. Partly to separate potassium nitrate from ammonia nitrate and partly to cleanse a hot stream of process air containing ammonia. The finished product is directed to a certain concentration within strict boundaries by the help of an advanced automated density measurer. Despite its large size, the plant is very environmentally friendly and only emits very few grams of ammonia an hour. If you are using another biogas upgrading method than the one from Ammongas it can be necessary to pre-clean the biogas before the upgrading plant. That was the situation in Holsted where a different upgrading plant couldn’t achieve the appropriate gas quality without the pre-cleaning. Here Ammongas delivered an active carbon filter to remove H2S and VOC´s from the gas. 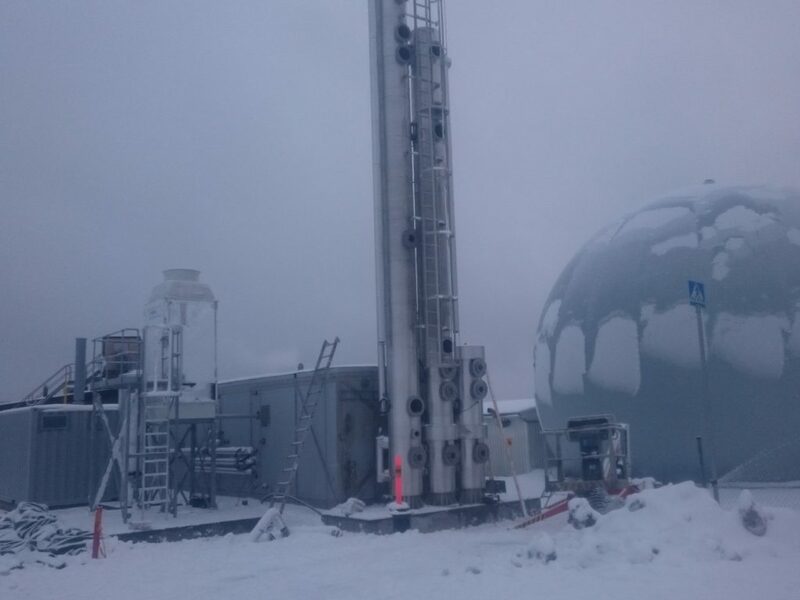 The system consists of an active carbon filter that cleans 500m3/h biogas for H2S and VOC´s and hereby assists with getting the pure methane onto the gas grid. If you are interested in learning about other plants, please contact us via mail or telephone.